The rolling mill for roll bond evaporators gives perfect and desired output by providing unique design and flexibility for direct cooling refrigeration system. Roll bond evaporators are manufactured from our rolling mill with the integration of primary and secondary surfaces, combined with the inherent thermal conductivity of aluminum ensuring excellent heat transfer characteristics that can be custom shaped to fit almost any application. Our rolling mill manufactured roll bond evaporators can be supplied with integrated suction/capillary heat exchanger or with a variety of inlet/outlet connectors. Our rolling mills are incorporated with latest methods of technology which provides immense quality and strength to the evaporator produced. Moreover, it provides both tube-on-plate and flattened serpentine evaporators. The Bonding Mill is required while manufacturing the roll bond evaporators that are used in refrigerators. 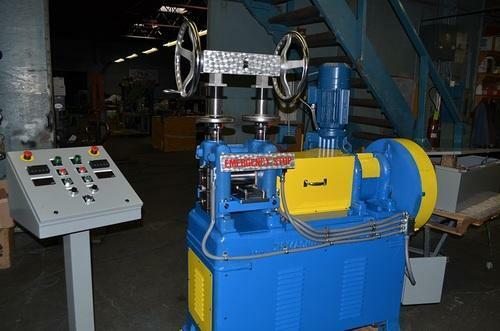 The mills are manufactured using graded materials in compliance with advanced technological standards. These are known for high durability, reliability and less maintenance requirement.